Why Jam Cell Phones in Prisons? 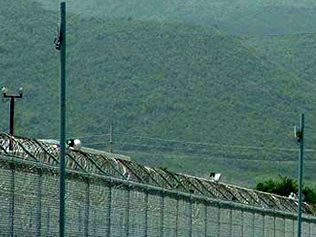 The illegal use of cellular phones in prison facilities is a growing problem. With the use of cellular phones, prisoners are able to continue their illicit activities from within the confines of their cells. They are also more able to plan and coordinate riots and escapes. Deploying the 106PR greatly enhances the security of any prison or similar compound. Read more in this MSNBC article. 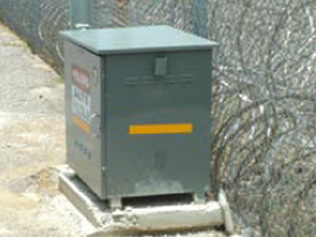 The 106PR was developed specifically for prisons and other large, sensitive facilities, such as military installations and government compounds. 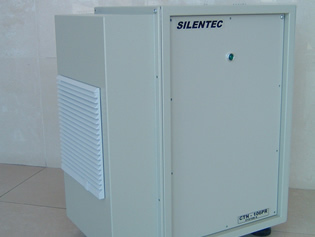 This high-power system has been approved and installed by prison authorities in large and very large prison facilities in several countries around the world. The 106PR jamming system is constructed inside a special metal enclosure, incorporating an efficient "smart active" cooling system with incoming air filters, which enables the system to operate continuously – even in hot climates – with no time limit. 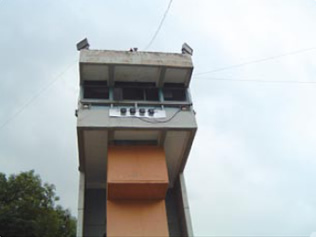 The all-weather metal enclosure is secured, ensuring that the prison inmates and unauthorized prison personnel cannot tamper with the safe and continuous operation of the system. Operation of the system by remote control is carried out only by authorized personnel. The Operator has the option to use the remote control unit to activate and deactivate each frequency band separately, as well as simultaneously. The 106PR has a maximum RF power output of 100 watts per frequency band. However, each unit is equipped with a power adjustment feature, enabling the system’s RF output power level (coverage radius) to be adjusted, according to the requirements of any specific location. Each frequency band has its own high gain directional antennas (or optional omni-directional type) with up to 14dBi gain. The antennas are connected to the jammer units via low-loss RF cable with N-Type connectors. Special VSWR circuit protection ensures that the jamming system will not burn out should there be antenna short circuit or disconnection.